I have about a dozen posts from my self-hosted site (now closed down) that I’d like to save on this one. I’ll be adding them on Fridays. If you were subscribed to that site, you can just ignore them. All three high schools in Kincaid Riley’s town are being desegregated, which means the Mages will be mixing in with non-magical students. Intermingling seemed like a good idea to Kincaid, who worked to see it happen, until violent protests break out. But who is behind the protests? And who stands to gain from them? As Riley uncovers the mystery with the help of new friends, he decides mixing with others who are different than himself really is an experience worth preserving. 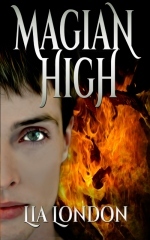 In Magian High, author Lia London takes a fresh approach to magic and makes it relevant to teens. It’s a fun read, smoothly written and clean. The story contains a bit of romance, some humor, and a lot of personality, not to mention great insights into the power of love, cooperation, and friendship. Very enjoyable and well done. Though it features teens, I’d recommend this one for readers as young as 10. There’s simply nothing inappropriate in it, and the magic will appeal to tweens. Grab a copy on Amazon. Lia London started writing sketches for school assemblies in the fourth grade and continued to write on-demand scripts for the next 30 years. She grew up to be a high school English teacher. 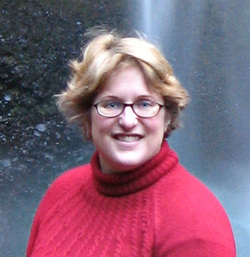 She has loved working with and writing for teens ever since. Visit her website (link follows) and check out her unique collaborative approach to writing. Find her on the Emblazon blog. Or you can visit her Clean Indie Reads website. Next Iris Brave (Soul Jumpers, 1), by Ali B.